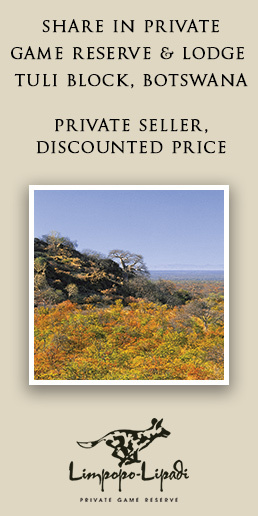 Africa GeographicWildlifeAnimal EncountersWhere is the lion’s eye? Where is the lion’s eye? 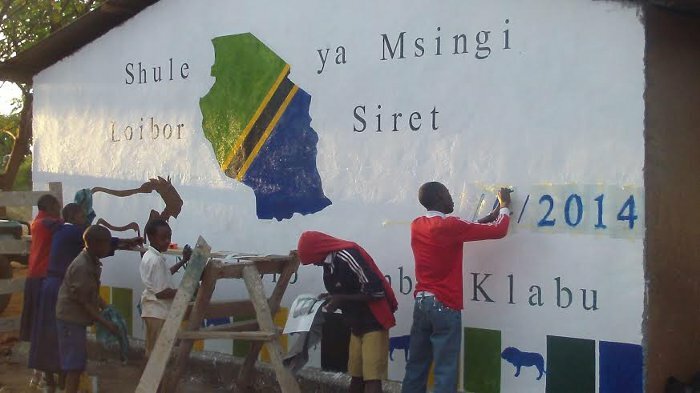 I arrived in Tanzania with a plan to add stenciled images to classroom walls but had no idea we would be asked to paint the end wall of the Loibor Siret primary school. We taped off the bottom section for the students to paint using various colours and stencils of lion, hyena, wildebeest, gazelle, elephant and cow I had brought with me. We wanted the flag and map of Tanzania, so we combined them in the center, along with the name of the school. The lion which features in this blog post is the symbol of the Noloholo Simba Club, a wildlife club set up at the school by the African People & Wildlife Fund. Where is the lion’s eye? The question came first from a student then from a passing group of Maasai men. I told the gathering audience that I wasn’t planning to paint an eye, followed by a roar of disapproval (excuse that terrible pun). Resigned to defeat, I suggested we have a vote. I got down from the wobbly scaffold and stood back to look at the stylized lion I was painting on the wall of the Loibor Siret Primary School. If I gave the lion an eye it would also need an ear, nose, mouth, whiskers… Meaning it would no longer be a stylized lion. As I stood there, surrounded by the blue uniforms of the students and the red and purple of the men’s shukas, an idea came to me. I ran back to the wall and started drawing lines inside the silhouette of the simba dume (male lion). I’d been using brown paint to create just an outline of the lion and now I appeared to be ruining the clean white space inside the shape, so I could understand the concerned looks behind me. I grabbed the brush and started to paint a new outline. Gradually, I heard conversation bubble up behind me, as the new image began to appear inside the old: ” a simba jike” (a lioness). I confess that I was feeling pretty pleased with myself for having combined a lion and lioness in the same image at such a late stage in the painting process. After all, walls are definitely not my area of expertise. Even in the studio I don’t use an easel, so drawing anything on a vertical surface is an unusual experience for me, as is drawing a lion five feet long. Luckily for me, everyone seemed to approve of the lion and lioness and, crucially, the question of the lion’s eye was not raised again!